5 Heads Are Better Than One? Submitted by Migrate Wizard on 2016-02-29 06:16. Title 5 Heads Are Better Than One? Here's a work in progress. Done completely in photoshop, need to get a wacom tablet to go back and add the detail (this painting with the mouse stinks!) I've been working on this for a couple of days, which is why I haven't submitted any portraits in the last few days. 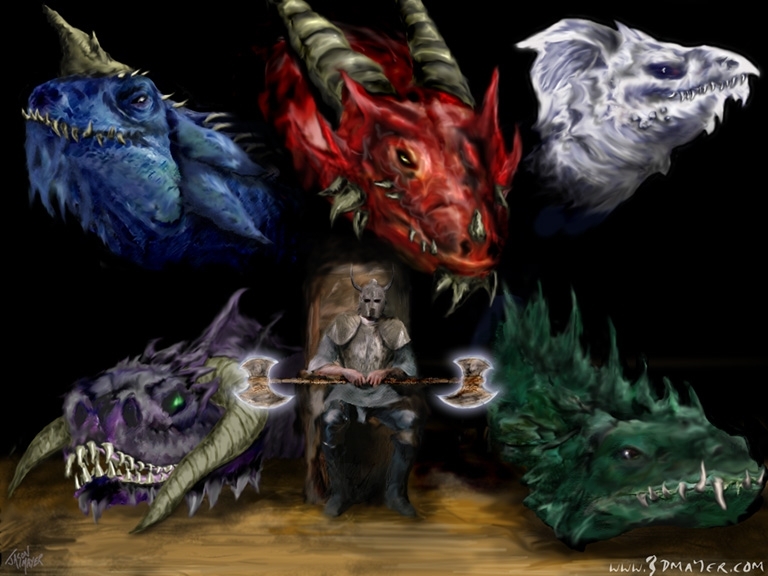 I may break up the dragon heads into portraits though and maybe even double axe boy too. Let me know what ya think. cheers.